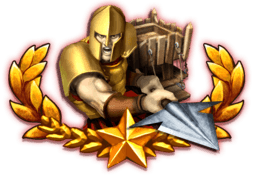 Here you will find our ever growing list of Game of War calculators and tools. If you have any feedback or suggestions then please let me know. Anything is possible! For our Game of War Resources and Game Data see here. Game of War: Fire Age Wiki. Copy the tile cords on a chat where you can quickly access it. Click the wonder and go to your chat and click the tile cord then click the land where the tile is do it quick then teleport. it doesn’t work on Monster RSS tile btw. what is the best way to collect food for upgrading sh to22? my troops training speedups of 700days and other speedups of 300days each 11 & 14 is just puffed when i clicked on MZ’S REVIEW POST POP-UP. What possibly went wrong? And it was not me who make us to click on mz’s review /ranking pop ups, we all do click. now who and how many other incidents of such kind and do mz compensate by sending those missing days. please its disaster when i lost without clue. How do you port onto a rss tile I have seen it done! Looking for Water walkers, source says Aquarius… I have no chests from Aquarius. Where does it come from? HI, I finally opened up March Presets. I was playing around with it and loaded some. Now I do not have enough coming out to harvest with a shield. I have looked here and on gow and cannot find and info on it about limits, removing them, etc. Please help! I am sh22 and mainly set up t4s and t2s by type. I get the same issue. Can anyone help as to why this is please? Anybody know how many deeds are needed for alliance city??? I take a lot of rally’s and my phone froze up from being scouted should I delete my watch tower? Hi was looking up Ice Rune. Do you mean it’s in Holiday Boots chests instead of Winter Boots? I can’t find any Winter Boots chests! Yes, you are correct. Ice rune is found in the “Holiday Boots Chests”. Can anyone tell me how well this game plays on Samsung galaxy tab s2? Any Samsung tablet? I’ve been playing on Apple devices, but get kicked constantly. Thx. does anyone remember the event that the piece for soft sponge belonged too? Need it for crafting a core item. thanks. I’ve been winning them from lv3 & lv4 Oillipheist monsters, these last few nights. But, it could just be random luck. Same thing happened not long ago to myself & 2 other alkiance members the same kvk. MZ all but called me an outright lier. Now we take screen shots any time we put up a shield. Good luck getting them to make this right. how many level 1 materials does it take to make 1 level 6 material? 1024. It’s 4 to the power of 5. 4 to get to level 2, 16 to get to 3, etc. Yes you will lose all u put in on gift levels!!! Just testart a new alliance and tell everyone before you start it and tell them to Jon is best bet!! I could be wrong, but our alliance I’ve seen our leader transfer leadership from time to time. If you know who he/she is maybe that person could transfer leadership to another one of you. I just started playing this game and we have a new alliance. It appears that our alliance leader has stopped playing. Is there any way to replace him? Or would we have to disband the appliance and get back together? If we do will we lose some of the things that we’ve already earned? MACHINE ZONE IS A JOKE. THE GAME IS STILL NOT FIXED. THE LAGGING IS WORSE. THEY JERK YOU ALONG PROVIDING JUST THE RIGHT AMOUNT TO MAKE YOU SPEND MORE MONEY ON THE GAME. WHY DO YOU THINK THEY CREATED THIS STUPID WONDER DUNGEON. YOU’D THINK WITH ALL THE TECHNOLOGY OUT THERE MZ COULD FIND THE RIGHT SOFTWARE/SERVER. Any info on maps? I’d like to know what relics can find in different maps. I’ve found some great relics such as the dragon bone but cant recall which map its from. I’m still learning how to play GOW. The alliance I’m in is great. You need at least 10 hospitals/aka beds. Once there killed I’m pretty sure you have to train more. Is there any way to change the name on a MZ account? I been playing a while but don’t get cores and pieces at all. I got a HUGE number of cores but don’t get the issue with combining them and I get a message I got to delete some. So you can see I’m a noob with cores. Is there basic instructs somewhere I can look up? Thanx. I have the same issues. Is there a basic set of instructions that will make sense of cores? We are all experiencing the same thing. Many big losses have occurred by getting booted from the game when marching on wonder or defending SH. These are majority of the time MZ issues with servers and lag. Is probably the most hated thing with in GOW and we are still waiting for the day that MZ can deliver seamless game play. I thing you should sale the options to open all treasure at one time! I think 5 gold for each treasure pack to open all treasure in that chest! M sick of waisiting all my time opening packs! I have thousands and the rear open chest thing any get so mean of!! Another thing is killing hero’s on the spot, you should make them more available ! Can we have some good 19.99 or 49.99 packs with 220 30- day speed ups! Your killing me with 100.00 all the time, give us a break!! Your making bank bro!! im in thanos and it is getting really hard to find silver mines whats the deal ? Is there a quicker way of using resources that have built up? It takes along time if you have 250x 1000 silver etc. I think my tip here will help you. I’ve asked MZ if they could incorporate a drop down tab on the resources page that you could type in the number of resources of each amount that you want to put into your inventory, but never heard anything back. Like if you have 2000 billion silver, but you only need 300 instead of clicking 300 times just click on the drop down tab and type in 300 and it would open 300 into your inventory. Ok here goes an insane idea. Some of us have excess material that we would love to trade with other players. We already paid for them by buying packs so we should be allowed to trade items between one another. Even if there was like a donation building in our alliance cities something. Instead of making us hold onto things we wish to never use. How do you delete pm history? yes, but only if you are SH5 or lower. Yes, but you have to purchase a pack that has an ancient teleport. Hey guys I had in the last few days some nice infernos with 6-10mil points for the 3rd prize and a lot of silver and gold as rewards.today and yesterday I have only infernos with 30-38 mil points,my question is the small ones will be back?thx a lot ! they maybe, they go in cycles. That being said it sounds to me like you may have been bounced up to the next bracket. Did your power go up quite a bit from that first inferno ? i do not know the exact power brackets, however once you get bumped up there is no going back from my understanding. Could be that or its just the cylces which may or mayn’t bring those lower ones back. The shields were released in a couple of gold packs a few weeks back. MZ Packs are on high rotation so you should see it come back soon enough. Have no info if they plan to release these as a buyable item at this stage. One option is not to even try feeding them. Your troops don’t die or become unusable if you don’t feed them. Only release food from items or gather food as you need it for research, troop training etc Also, If you’re in an alliance, people will often give you their ‘spare’ food rather than watch their hungry troops chomp through it. Easiest way to handle the food upkeep issue, so you are no longer food negative, is to craft one of the many helms that have the food upkeep % as well as active a 50% food upkeep boost. That’s how someone with 60 mil troops can be food positive and not lose any food at all by equipping the type of helms! Hope it helps! Anyone know what these guardian shields are about? We had options under more tabs then options to turn.on last night during our kvk and this morning they are gone.. neat idea we had a member that had a shield expire and got rallied 11 times and lost over 300 mill power .. I’m curious about these guardian shields.. I understand if on u can shield members but why is the option gonna this morning? Guardian Shields do not exist anymore. They were testing it then decided to not go further with them. Unsure about the reason they didn’t want them anymore. Hi – every time I attack a city all Iget is silver no other resources – why? You can protect your resources in your storehouse but not silver until you reach SH21. Sounds as though the people you are attacking are keeping their resources within the limits that their storehouses will protect. I would even give silver away to a shielded player in my alliance rather than lose it to an enemy. If they’re nice they’ll always give it back when you need it. I am not able to access my gold store! Why can’t I buy more gold? It keeps telling me that the gold store is loading. Restart your device. Most of the time it is impossible the store to be loaded in case of bad Internet connection. Wi-fi is the best way. I recently friended some of my fellow players on fb but they do not show up in the gold mine. The friends I previously had do show up though. I have changed settings, rebuilt the mine, and a number of other things but still nothing. Any suggestions? How do I find the rules to my kingdom? Hi, you can normally find them by looking on the alliance page of the ruling alliance. Need to know how to remove an inactive player as leader of an alliance, any suggestions? He’s been inactive for awhile and randomly teleported, no solutions? What happens to the resources for our alliance city? Contact mz and see if they can demote him to r4? Question, how do you remove a leader of an alliance if he has become inactive? His empire randomly teleported today. Just wondering when is the hero skill resources gonna be finished? I was going to say a resource should be added for hero skills but I see that it’s coming soon. I hope you go into detail with it to help users get the max % out of there tree. Example: I am hyper stone in my main and use zero hospitals. So my skills outside of kill events are troop training, and silver/stone boost. I max all 3 silver skills meaning I can’t do the same with stone. So the highest possible % stone boost I can receive is if I max stone 3 and add the remaining 5 points into stone 1 putting it to lvl 8 for 12%. If I were to leave stone 1 at level 3 and add the 5 points to stone 2 I’d only receive 3% from stone 1 and 6% from stone 2. I’m sure you’re aware of this but just stating what would be greatly beneficial in the skill resource as opposed to just a tree like most sites have. Thanks again for the site. I use it often . Hi, someone very capable person is working on this as we speak! For treasures can you create an open all option? Esp when buying packs and you get a lot it takes forever to click 40-75+ times on each one. Also Is there a web link were the game can be played on the laptop and not on my Android phone?